Heterogeneous, intense and hopeful. Such was the ambient at the workshop on Open Innovation and seeds that was held on Friday, April 5 at the Cultural Centre of Science, as the first session of the Open and Citizen Science Cycle organized by the Secretariat of Science and Technology, Cientópolis and CENIT Foundation. Some 50 diverse people came to think together about possibilities for development. After three hours of work, there was a promising feeling in the air: that shared work had just begun. The open seeds model is pure potentiality. 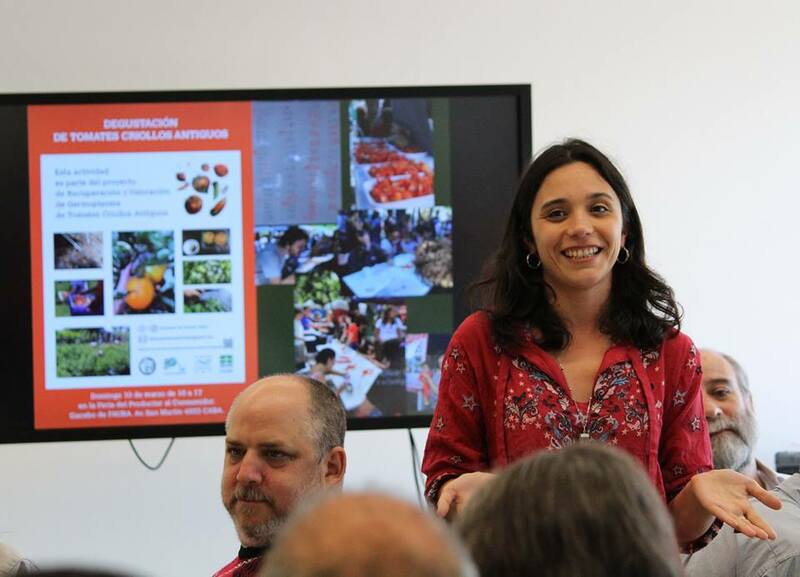 There were engineers and agronomists from various areas of the National Institute of Agricultural Technology (INTA), including the ProHuerta program; representatives of public organizations such as the Scientific and Technological Promotion Agency, the academic sector and also agrotech companies, as well as producers specialized in organic and biodynamic crops. Also the interdisciplinary team that is working to recover ancient tomato seeds joined in. Representatives of the software development cooperative Gcoop, who made the first prototype of Bioleft’s digital platform, participated in the area of ​​information technology. 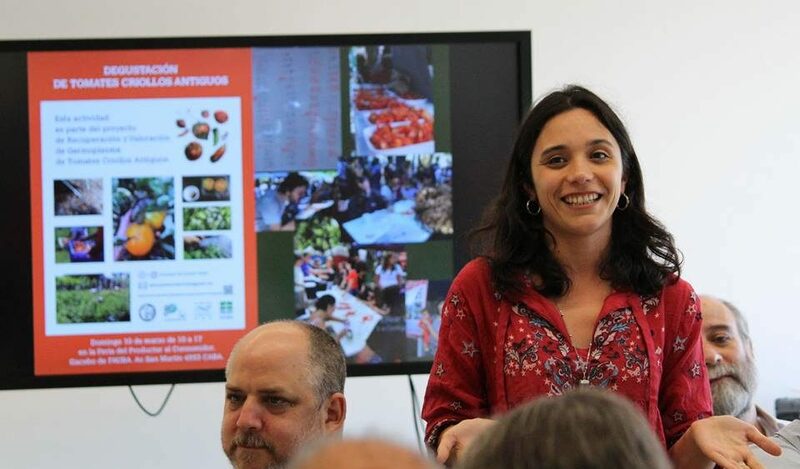 The meeting began with a brief presentation by Anabel Marín, director of Bioleft: an overview of global concentration in the field of seeds, and its critical role for food security, biodiversity and the economy. Next, Gustavo Schrauf, holder of the Chair of Genetics of the Faculty of Agronomy of the University of Buenos Aires, told the case of the tomato: loss of varieties throughout decades of agricultural industry, and a path of recovery from recovered seeds that are shared to multiply them. 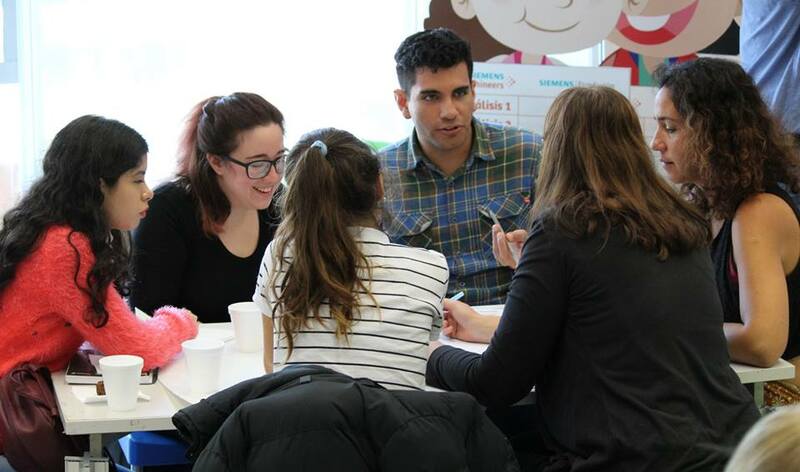 Then the workshop modality began: the participants were divided into tables and assigned situations to solve. Some teams worked on the case of a national company that performs genetic breeding and faces various incentive plans; in others, the scenario was set by researchers from a university who are carrying out a project involving producers; the third possibility was to incarnate a public institution that produces breeding, such as INTA or CONICET. In each group roles were also distributed, such as producer, researcher, project director, technology developer. The game functioned as a trigger for a very rich discussion about the economic, scientific and social implications of opening-or not- the circulation of improved germplasm. It also helped to think concrete scenarios of application of Bioleft and to sharpen the scope for the next steps. Towards the end, the teams put their ideas in common with very valuable contributions. 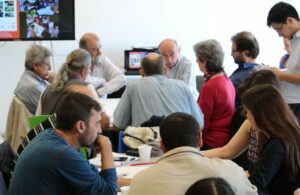 One of the participants, Enrico Cresta, producer and member of the Argentine Movement for Organic Production, said: “In the participatory breeding farmers retake a role they had fulfilled for millennia.” Several proposals were sketched out, and collaboration lines were opened around this objective: a community of sovereign producers and breeders, owners of their seeds and their decisions. Thanks for joining!